Aging IPA isn't typically the best idea. Though IPAs often come with a higher ABV (a trait that makes beer more conducive to aging), most are known for complex hop flavors and aromas, which will diminish over time. But leave it to Stone Brewing to go against the grain. The latest addition to the company's “Enjoy After” aging series is a “Brett IPA.” The name refers to Brettanomyces, a sour yeast intended to spend extra time doing its thing in brews. Unlike most yeasts that typically ferment a beer in under two weeks, Brett can continue to change a beer’s character for months or longer. 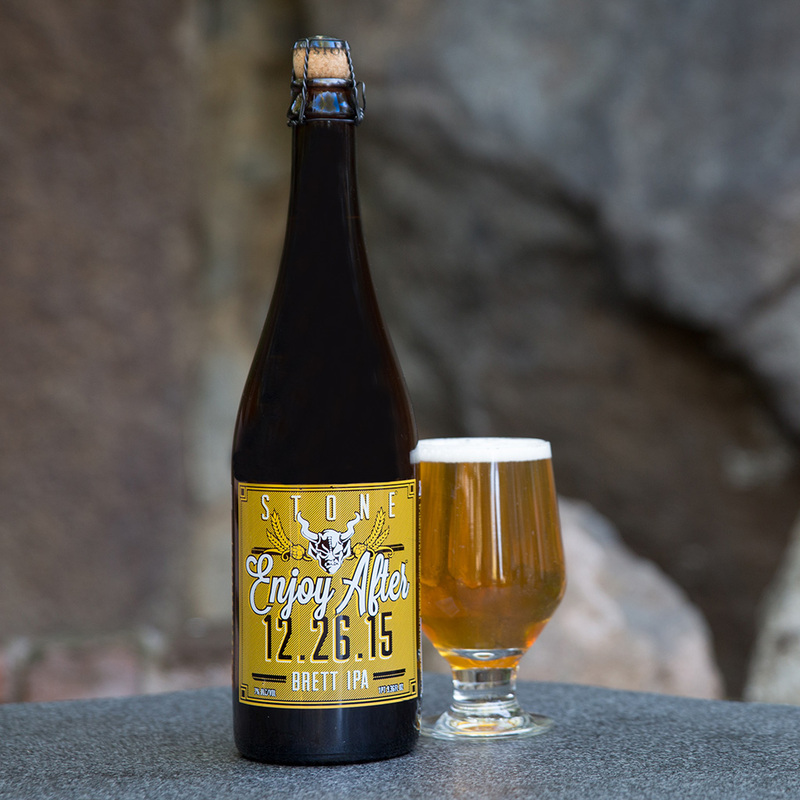 Though Stone’s Enjoy After Brett IPA comes out this week, its “Enjoy After” date is 12.26.15. “Over the course of a year, we anticipate the beer will have greater carbonation and a creamier body, with a dry finish, more complexity, and farmhouse characters,” Stone Brewmaster Mitch Steele said in a press release. It’s a fun experiment that can make even a casual drinker feel like part of the brewing process. Just make sure you have a dark, cool place to keep the beer safe – and that you don’t forget where you put it.